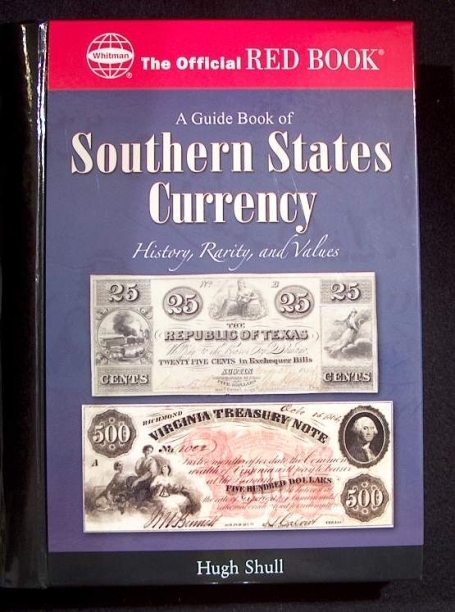 A Guide Book of Southern States Currency History, Rarity, & Value By Hugh Shull Wonderful reference book on Southern States Currency. Each state in the south during the Civil War had the authority to issue paper money backed by the state government. 11 of the 13 states choose to do so. Kentucky & Tennessee were the two that did not participate. 434 pages, copyrighted in 2006 Absolute must for serious collectors of Southern States Currency.